Our story this week centers on Dr. Theodor Kiefer, known as "Tor", who was born in 1889 in Ettlingen and who died in 1985 in Kaiserslautern. He became a well-known doctor as well as a collector of art in Kaiserslautern, where a street was named after him. 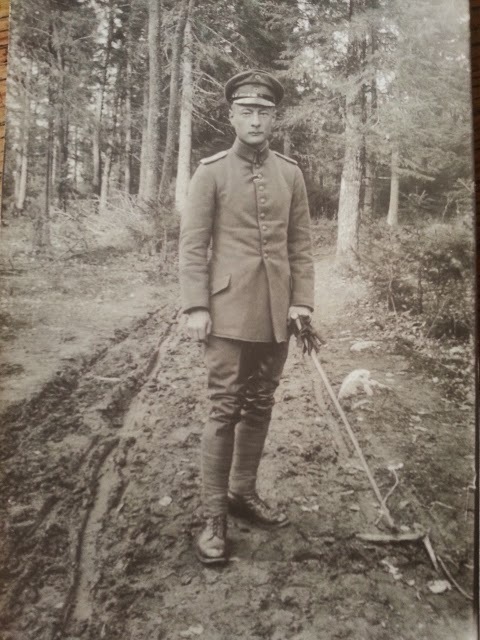 You can also read more about Tor on our partner blog at World War I Letters and Diaries of the Kiefer Brothers. In 1914, Tor was a young doctor who served at the front from the age of 25. He was stationed both on the western and the eastern fronts, where he worked initially as assistant to the medical officer. 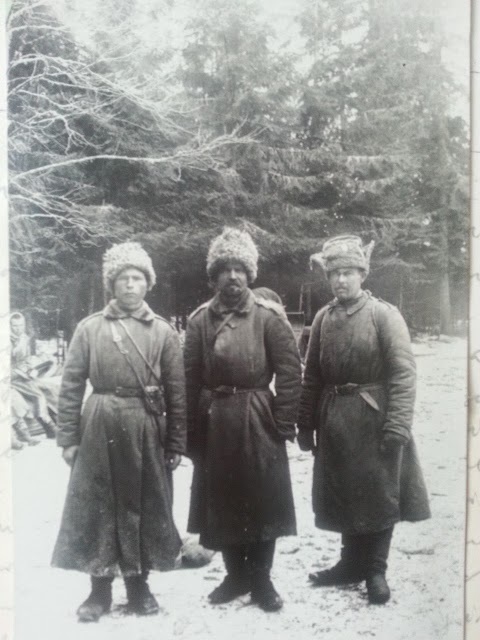 By July 1918, he had been promoted to senior physician and deputy "regiment's doctor". Tor was a prolific and gifted writer, and over the entire period of the war, he sent letters home to his family every few days. The letters often contained detailed descriptions of the wounded in the lazaret and of daily life at the front. 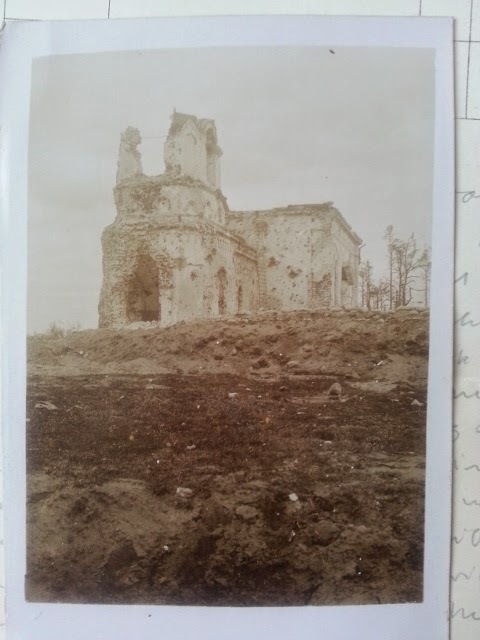 All of Tor's letters have been preserved in the Ettlingen Stadtarchiv in perfect condition, and it has been mainly these letters that have enabled us to gain such an insight into the conditions at the front and helped us to set up this site. Several of the letters can be read in the section Letters From The Battlefields on this site. Tor's elder brother Oskar Kiefer was a well-known sculptor in Baden. During the Great War, Oskar created the famous Bismarck statue in Baden-Baden and after the war he constructed the anti-war memorial in Ettlingen at the Town Hall arch, in commemoration of those who had fallen in battle. 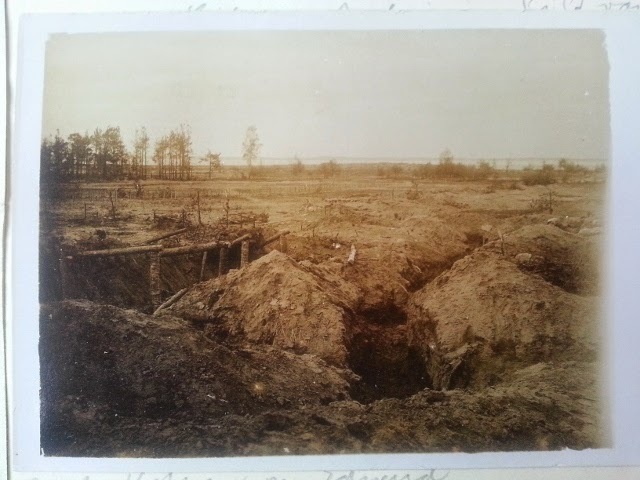 In a letter to his family dated May 27, 1916, Tor also sent 4 photos taken at the eastern front. The first was of himself in his new uniform (above). The other 3 are shown below.